Samsung India will unveil the Galaxy On8 smartphone in 4GB/64GB variant with a rear dual camera setup this week in India for nearly Rs 18,000, according to an IANS report. Fresh from the success of the Galaxy On6, the Galaxy On8 represents the second of the online-only smartphones from Samsung, and will be available exclusively on Flipkart, according to industry sources who spoke to IANS. “The smartphone would feature Qualcomm Snapdragon Octa-core processor,” the report quoted a source saying, and added that the phone will have a 6-inch HD+ Super AMOLED display. This would be Samsung’s second online exclusive smartphone in two months. 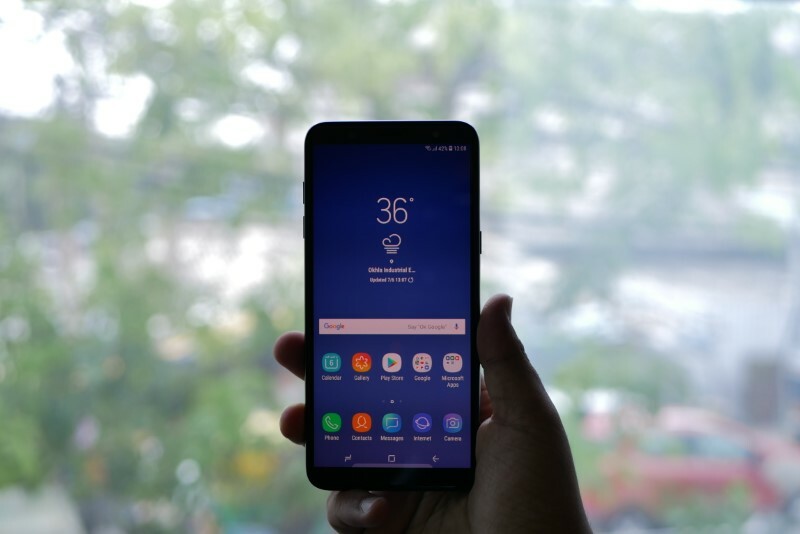 The Galaxy On6 was launched online earlier this month and brought Samsung’s “Infinity Display” to the mid-range segment, a strategy which the company will continue with the On8. Not a lot separate the Galaxy J6 and the Galaxy On6, which leads us to believe the On8 will mirror the hardware specs of the Galaxy J8. However these details are yet to be confirmed by the company. Once again the On8 will only be sold online, and will not be available at Samsung retail outlets as the company is looking to increase the share of the online sales channel in a bid to take on the likes of Xiaomi, Honor and other mid-range contenders. According to the company, over 20 lakh units of its recently-launched Samsung Galaxy J8 and J6 mid-segment smartphones were sold in India. The company said earlier this month that it sold 50,000 units of Galaxy J6 and J8 each day.